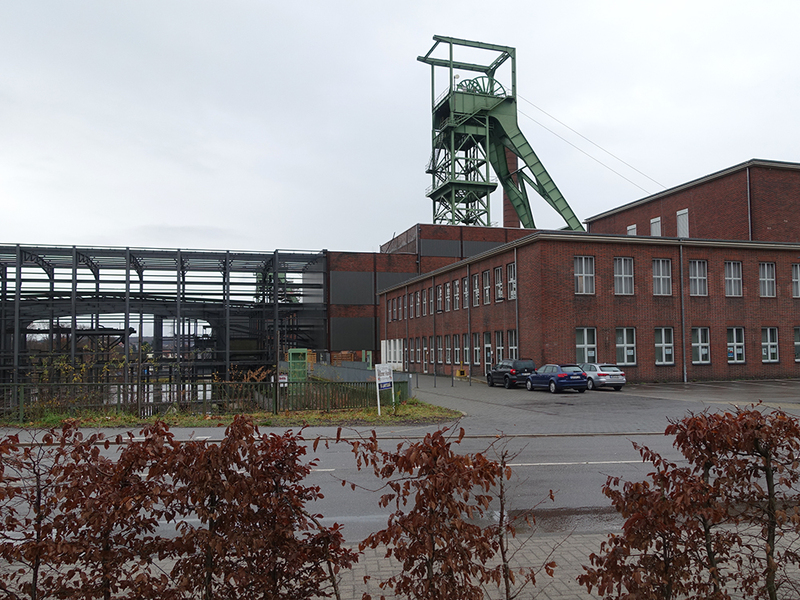 The Reden pit in Schiffweiler (1846/47) was one of the most important in the Saar-Lothringian mining district. Save the water retention, it was shut down in 1995. Today, next to five others, it is one of the most important water retention locations in the Saarland. Approximately 14m cubic metres of mine water are extracted here yearly. Mine water is rainwater that seeps into the ground, sinking through layers of rock into the depths. In an effort to keep pits and tunnels dry to extract coal, the mine water has to be continually pumped out. This remains a necessity even after the end of operations, primarily to prevent mixing of mine water with potable water, seeing that mine water not only contains high concentrations of chlorides, nitrates, sulphates and iron, but also toxins. Over the coming decades, the massive underground hollows will be subjected to controlled and gradual flooding. This can lead to new pit quakes as well as rising and sinking ground levels. Water retention is one of the so-called eternal burdens or eternal tasks of the mining industry.